With the start of every baseball season comes a number of MLB pitchers needing Tommy John surgery. Throwing a fastball over the plate can place more than 400 Newtons - that's 90 pounds of force on the shoulder and elbow. Now imagine if that arm is 14 years old, and still growing and developing, and throwing 60 pitches over the course of a five-inning game. Now imagine this same child repeating this two or three times in a weekend. You can see the need for teaching appropriate flexibility, strengthening and arm conditioning techniques to young athletes - and so can the Physical Therapists and Performance Trainers at UW Health Sports Rehabilitation. "Your harder throwers tend to be your pitchers," notes Marc Sherry, also a physical therapist and athletic trainer with UW Health Sports Rehabilitation. "And that usually means that when they're not pitching, the coach is likely to put them at shortstop, or some position where they're throwing a lot." 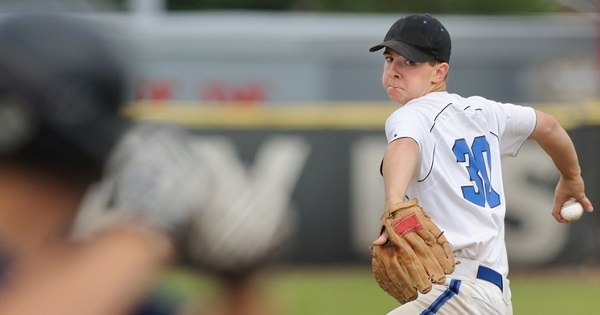 Most youth baseball leagues have set up rules and guidelines that limit the number of innings a player can pitch. Unfortunately, there's no rule that limits the number of leagues or weekend tournaments in which a player can participate. That's one issue driving the rash of injuries, but it not the only one. Mike Reinhold, a nationally respected physical therapist and performance specialist working with professional baseball players, recently posted a position statement regarding rising injury rates. Mike believes rising injuries are related to several factors including too much pitching or ignoring pitch counts, higher velocities at younger ages and lack of pre-season conditioning. The UW Health Sports Rehab and Performance teams have already implemented many of these concepts, which are explained in the Training Tips (pdf) document for players and coaches. Pre-season training sessions also involve a biomechanical and physical pitching screen, in attempt to identify problems with pitching mechanics that may lead to injury so attempts can be made to correct them before an injury does occur. If an athlete has suffered a baseball-related injury, insurance is likely to cover throwing analysis as part of rehabilitation. Those who wish to access the service as part of an injury prevention program can opt for a self-pay option. "A major baseball injury can be career-ending," says Kelcie Wittman, a physical therapist working in the UW Sports Rehabilitation Throwers Clinic. "It can lead to lost velocity and lost scholarships, and if you don't address the root problems early, it can quickly lead into a downward spiral. Become a better athlete and baseball or softball player through UW Health Sports Performance training programs.